Student-Led Research Grants Also Available! 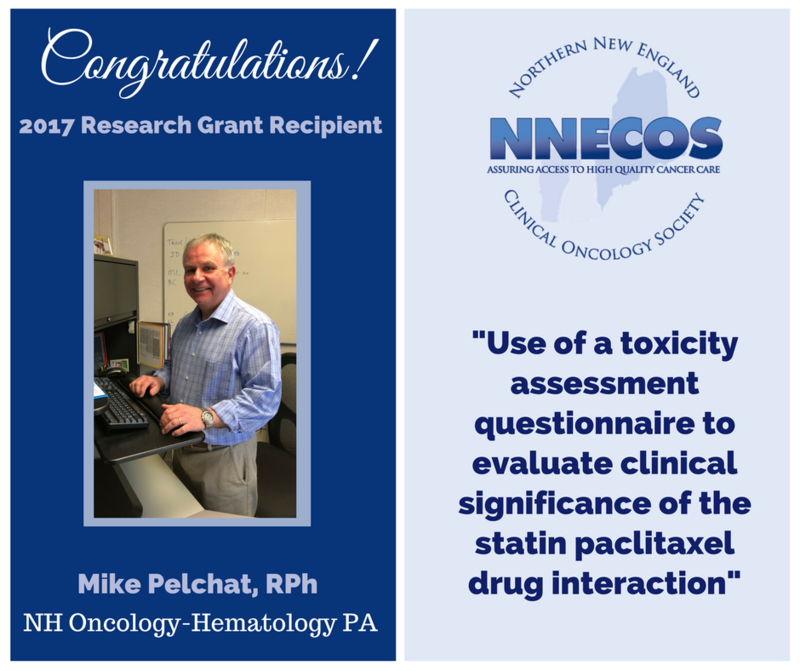 Since the program’s inception in 2008, the NNECOS Research Funding Program has awarded more than $135,000 to worthy projects of value to the Northern New England region. 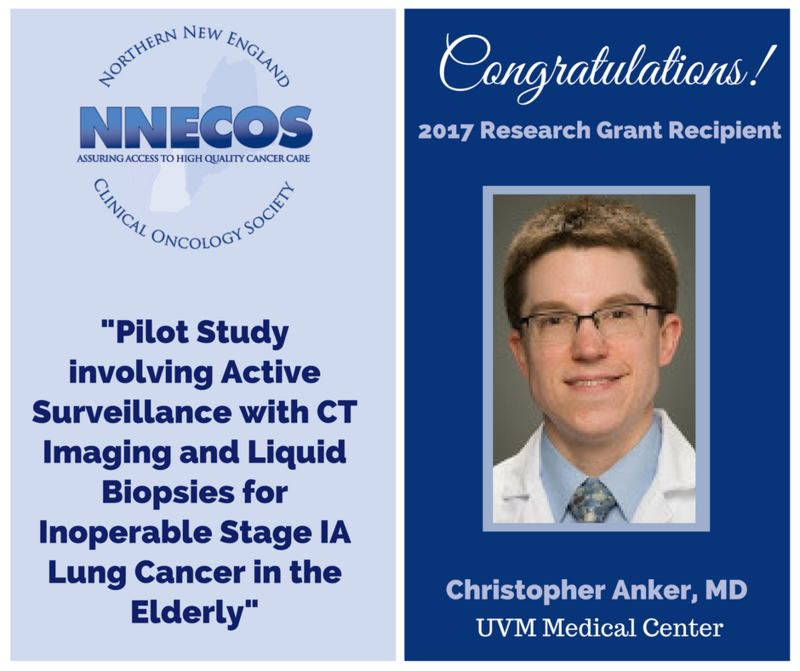 The Northern New England Clinical Oncology Society is seeking research funding proposals for investigative projects of value to the entire Northern New England community of cancer care providers. 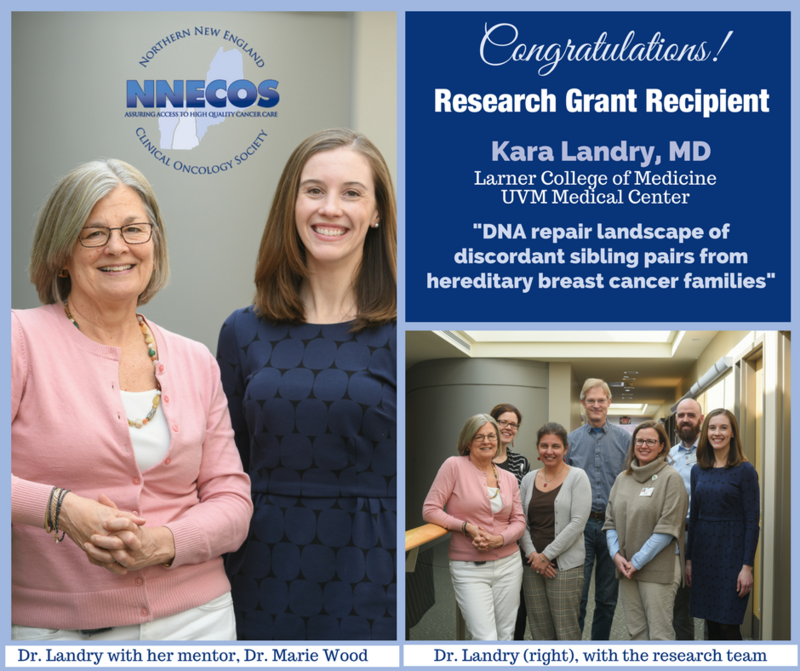 The society seeks to award one or more research grants to worthy proposals, up to a total of $20,000. Eligible candidates will be a current NNECOS member in good standing. Projects should be in alignment with the society’s mission to assure access to high quality oncology care in our region. Preference will be given to projects promoting collaboration amongst NNECOS institutions (academic and community). Fellows and others are strongly encouraged to apply. 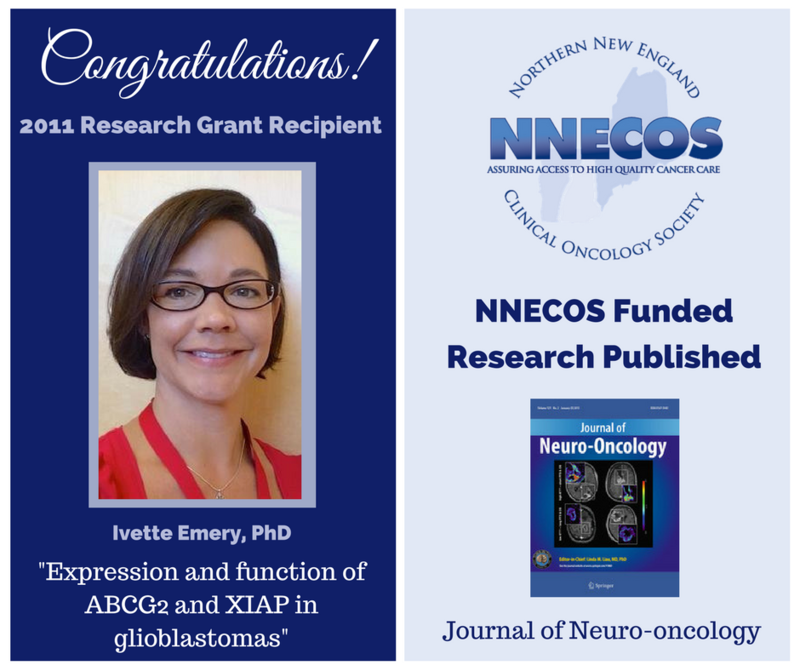 Awardees will be notified in approximately 30 days, be required to submit progress reports to NNECOS, and may be asked to present a final report of the research to the NNECOS annual meeting. APPLICATION DEADLINE! Completed applications must be received through online submission no later than 11:00 pm on June 1, 2018. Litterini A, Cavanaugh J, Fieler V, Lee JQ. Differential Effects of Cardiovascular and Resistance Exercise on Functional Mobility in Individuals with Advanced Cancer: A Randomized Trial. Arch Phys Med Rehabil. 2013;94:2329-35. Litterini, A and Lee, J. “Exercise for Individuals with Metastatic Cancer.” APTA 2013 Combined Sections Meeting, Oncology Section Platform Presentation, San Diego, CA, 2013. Role of prostaglandin pathways in radiotherapy-induced mucositis. Inhibition of stem cell pathways in a patient-derived GBM tumor model system. Curtis, Adam & Rueter, Jens & Rajan, Shelia & Zhang, Rong & Shopland, Lindsay. (2018). Additive and synergistic inhibition of mantle cell lymphoma cell growth by combining olaparib with ibrutinib. Journal of Cellular Biochemistry. 119. 10.1002/jcb.26773. Download this paper. Poster at 2017 NNECOS Annual Meeting.